Social networks are great, except when you need to make a change to one of your settings–then it’s a veritable click-fest of wading through menus in search of just the right option. Hassle city. Last week I gave you some tips for managing Facebook photos; this week I’ll tell you about a couple of great services that work with several different social networks. BlissControl helps you manage social-network settings with ease. Just choose the setting you want to modify, then the service, and then clickGo. In an instant, BlissControl steers you to exactly the right setting page within that service. No fuss, no muss. And no annoying login for each and every account, no setup that “grants access.” That’s because BlissControl doesn’t actually hook into the various social networks; it’s really just a wizard-driven, plain-English collection of links. But, man, is it handy. The site offers an even dozen settings: change bio, change password, change mobile settings, change design, delete account, and so on. It supports about a dozen major networks, including Faceook, Foursquare, Instagram, Meetup, Pinterest, Tumblr, and Twitter. 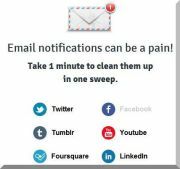 BlissControl is free, easy, and fabulous–especially for users who are constantly stumbling around in search of the social-network setting they want. I reminded her that Facebook has settings that let you control the number and type of notifications you get. Good point. As I’ve griped before, Facebook’s settings are anything but intuitive. Of course, the same can be said of many other services that notify you to death. 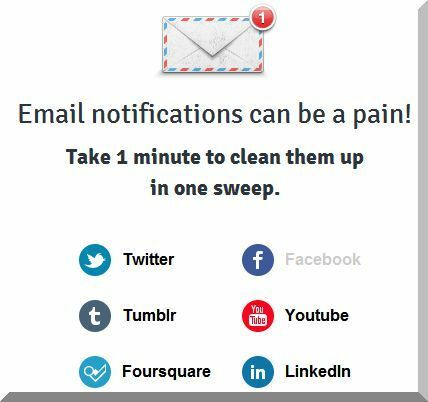 Thankfully, I’ve discovered Notification Control, a free service that sends you directly to the notification settings for over a dozen popular social networks. Among them: Ebay, Facebook, Foursquare, Google+, LinkedIn, Meetup, Pinterest, and Twitter. Just click the service and presto: you land on the notification-settings page for that service. There’s nothing to sign up for or into (except your actual account, of course, assuming you weren’t already signed in). If this incredibly handy tool sounds familiar, that’s because it comes from the same folks who brought you Bliss Control.